In a recent meeting, the topic of rewarding children for good behavior came up. This can be a touchy subject. Although I have my own opinions on the subject I chose to sit back and listen as the discussion unfolded. The conversation became quite spirited: raised voices, red faces. As my colleagues argued, I reflected upon my own knowledge and experience with reward systems and young children. Rewarding children for good behavior is giving a child something tangible (for example, stickers or small toys) for successfully completing a required task or successfully exhibiting the expected behavior in a situation. 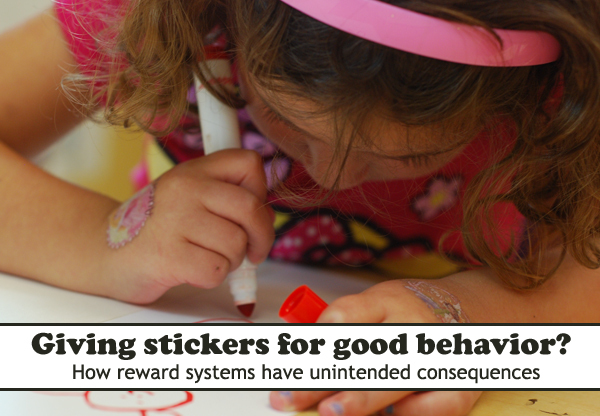 Teachers often implement a reward system in their classroom to ensure children follow the classroom rules. The reward system is often in the form of a chart. Children can collect stickers or tokens for the chart each time they behave the way the teacher wants. Children can later swap the stickers for a reward. A classroom reward system can help a new or struggling teacher focus on children’s positive behavior instead of the negative. Working for prizes can be motivating and that motivation can help a teacher and her students feel less stressed throughout the day. In fact, as a young and inexperienced teacher I often used a reward system to make it through the day. 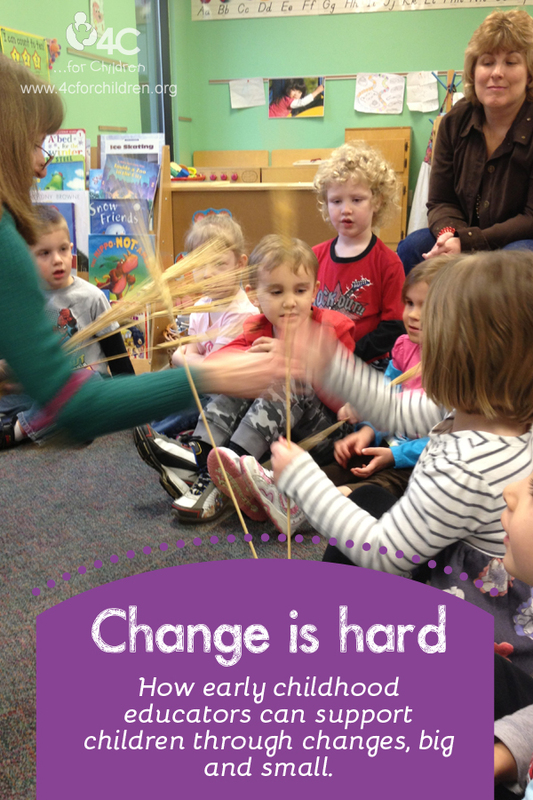 I simply didn’t have any other tools to get the desired behavior from my 4-year-old students. The reward system worked. I began to feel as if I had some control in my classroom, the system was easy and the children seemed happy. However, I soon found out that a reward system is only good as a short-term fix. My students became wise to my ways and they upped the ante. I soon noticed I needed to provide more and larger items to reach my desired results. Also, some children simply no longer cared about the reward. I needed to do something different and I needed to do it quickly. I needed to allow the children to feel the pleasure of a job well done. They needed an opportunity to experience choices. They needed permission to grow based upon the choices they made, not on the reward I had to offer that day. I began by weaning them off a reward system that was based upon tangible prizes and I began to really communicate with my children. I became more intentional and consistent with my expectations. We reviewed the rules and expectations daily. We discussed what may happen if we leave puzzles on the floor. We talked about how it feels to be hit. We talked about what will happen if someone chooses to hurt a friend. We became problem-solving partners in the classroom. Instead of adding stickers to a chart I added specific praise and encouragement. I often told my children how proud their faces look when they remembered to put their work away. I told them they were being good friends by offering to work together with someone instead of keeping the blocks to themselves and I coached them through arguments. We made classroom books that included pictures of them following the rules. We showed respect for others by saying “please” and “thank you.” The children began to own their behavior and they began to experience how good it feels to do a good job, to be a good friend and make a good choice for the sake of doing it, not for the prize at the end of the day. This entry was posted in Best Practice, Early Childhood, Family Child Care, Preschool and tagged children, early childhood, preschool, school, teachers on March 6, 2013 by Patty Taylor. Creativity and Academics Go Hand in Hand! As a teacher and a parent I have always encouraged creative thinking by providing lots of open-ended materials such as books, blocks, dramatic play items and art materials. When I was at home with my 4-year-old daughter one of our favorite activities was to draw a squiggle on a piece of paper for each other, and then we would each create a drawing from the squiggle. Then we created a drawing from the squiggle. I was lucky enough to have her in my preschool classroom, too, where she was happy and well-behaved, her days filled with creative activities. Photo courtesy of Selena N.B.H. But when she went to kindergarten, my daughter’s enthusiasm for school waned. She was anxious and struggling with her work. Her teacher reported that she was well loved by the other students and always participated in all of the activities, but she struggled with her assignments. When I asked to see an example of her work, her teacher showed me a paper where the children were to draw two fish alike. But instead of completing this assignment, my daughter had drawn two detailed fish with purple with pink polka dots. When I asked why my daughter’s assignment was “wrong,” the teacher produced another child’s assignment where the child had drawn two fish that were exactly the same. And then she produced another, and another, all perfect examples of modeled art. What could have been a creative opportunity was instead a test, and one my daughter had “failed.” I walked away from that conversation with her teacher knowing that I needed to find another learning environment that encouraged creativity, namely, both convergent and divergent thinking. Convergent thinking is the ability to come up with a single correct answer. This type of thinking is measured through standard testing methods. Divergent or creative thinking is the ability to come up with new and usual answers. Both are important! Let the children in your classroom explore and allow them to express their thoughts and ideas. You’ll be supporting curiosity, flexibility and originality in their work and play, and encouraging unique and effective solutions. Teachers should strive to help children explore their academic potential and their creative potential. This entry was posted in Directors & Administrators, Early Childhood, Infants and Toddlers, Preschool, School Age and tagged art, children, creativity, early childhood, education, kids, preschool, school, teachers on January 13, 2013 by 4cforchildren. This past Thanksgiving, my granddaughter went over to the sliding glass window, smiled at me and pointed outside. The next thing I knew she was holding my hand and we were heading outdoors. She did this several times throughout the day, and we’d always go out for 15 or 30 minutes at a time. At first I felt that I was going outside “for her,” but after awhile I realized I was going outside for me, too. The fresh air was a welcome relief! Together we explored: collecting sticks, watching our scarves blow in the breeze, climbing, running and just enjoying each other’s company. We had more time to talk – and listen! – to each other once we were outside. 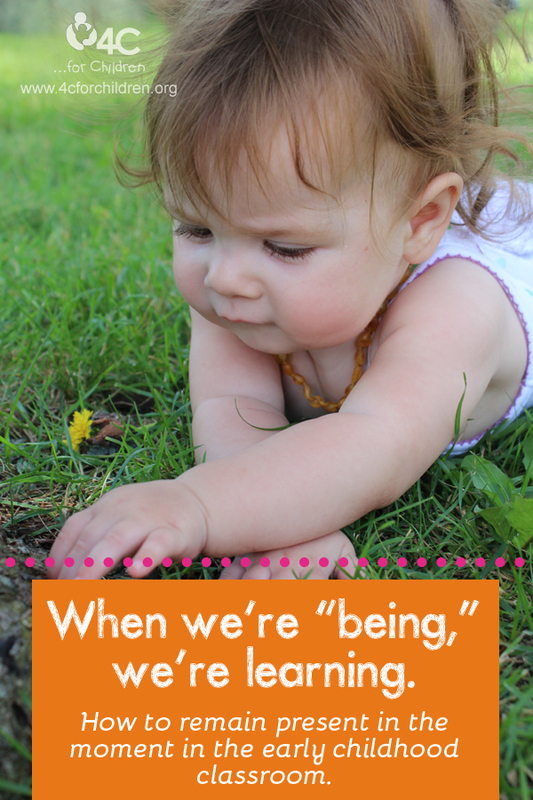 Outdoor play is often abbreviated during the colder months, but it doesn’t have to be. Playing outdoors supports all aspects of a child’s development, helps prevent obesity and reduces the spread of illness. Not to mention it feels good just to get out of a stuffy classroom! If you and the children are properly dressed for it, take the fun outside. Blow bubbles, play with hula hoops, have a winter-themed parade with noisemakers or enjoy some dramatic play out of doors by doing a little “yard work.” We’ve written before that there’s no perfect temperature for outdoor play, and it’s true. Head outside! The fresh air will do everyone good. This entry was posted in Best Practice, Early Childhood, Infants and Toddlers, Preschool, School Age and tagged children, early childhood, education, outdoor play, school, teachers on November 29, 2012 by 4cforchildren.